I chose this recipe because I had 3 granddaughters visiting me and two only like chocolate cake and one only liked white cake. I must say I was disappointed in the recipe. The chocolate cake batter was very runny (even with 1/2 cup less water than th recipe called for) so it rose quite well in the oven but then collapsed after removing from the oven. I baked it longer than the intended time and it was still very very brownie moist. I loved the chocolate frosting. I added a little more coffee to the frosting and it was more of a mocha frosting. 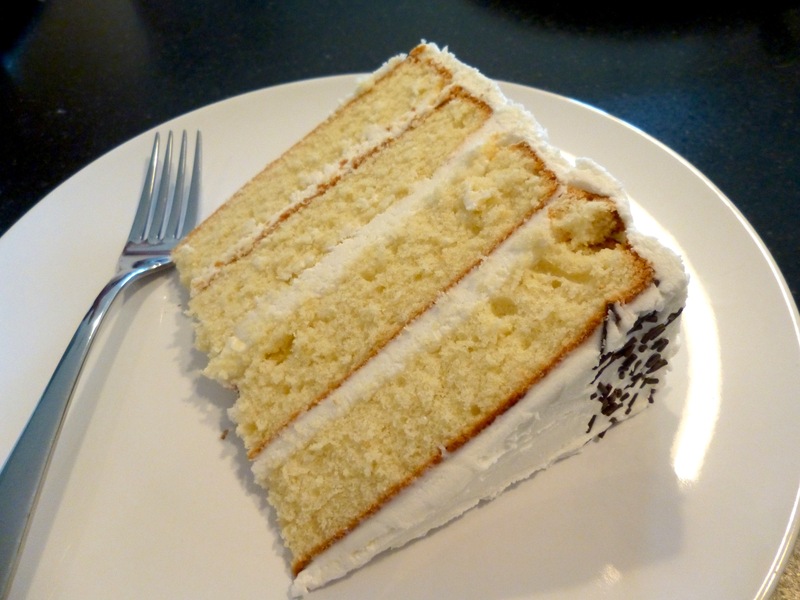 The white cake was way too sweet, both the cake and the frosting. Please advise!! I’m so sorry for not seeing this — I don’t use this site anymore (life got too busy). I’m sorry to hear you didn’t like the recipe. 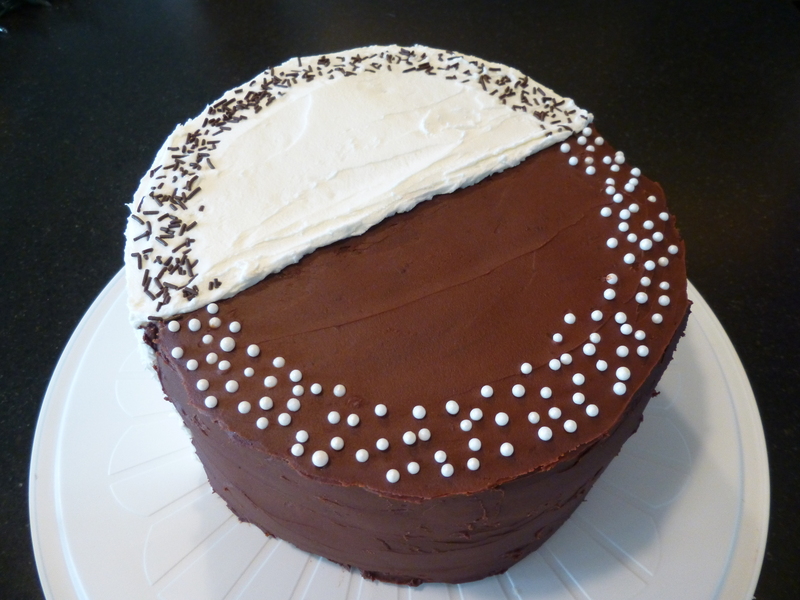 If you wanted to do something like this again, you could try a different cake recipe for the white one since this one was too sweet for you? Or you could try removing some of the sugar in the recipe (certainly in the frosting, if you don’t like things too sweet, don’t add too much powdered sugar!). 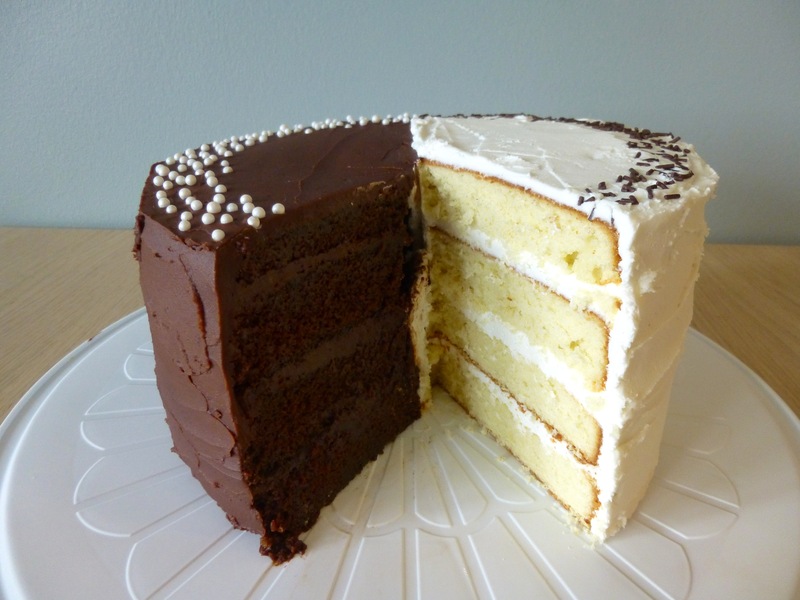 The chocolate cake batter is supposed to be extremely runny, but it always bakes up perfectly moist and delicious. I’m sorry again that you didn’t like it! Hopefully you’ve found better recipes for your taste. 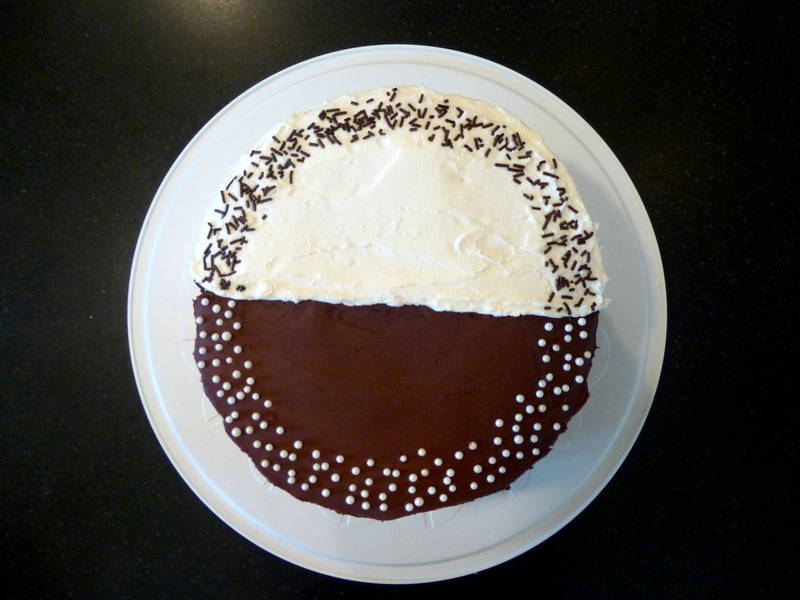 How do the two sides of the cakes stick together? Doest it fall apart as you cut the slices? I use buttercream to stick them together: “When the cake is fully stacked, slather the flat, cut side with a thick wall of buttercream (if the buttercream has “dried” a bit by this point, blend in some extra butter (softened) or milk to make it “sticky” again).” It’s been so long since I made this cake, and it was mainly for novelty, that I wasn’t worried about it being the prettiest… I don’t recall it falling apart, though!